The DSL Filter Board, designed to fit into any Leviton Structured Media™ enclosure, separates the DSL portion of an incoming telephone signal prior to distribution throughout the home,eliminating the need for a micro-filter system at each wallplate. Available as an expansion for Leviton's Pre-Configured Structured Cabling Panels, or as a stand-alone module on an ABS plastic bracket. 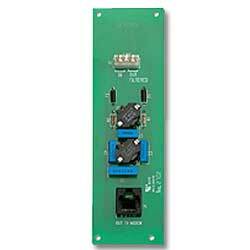 Fits easily into Leviton Structured Media enclosure, or as a stand-alone module. Provides filtering for sensitive DSL connections.